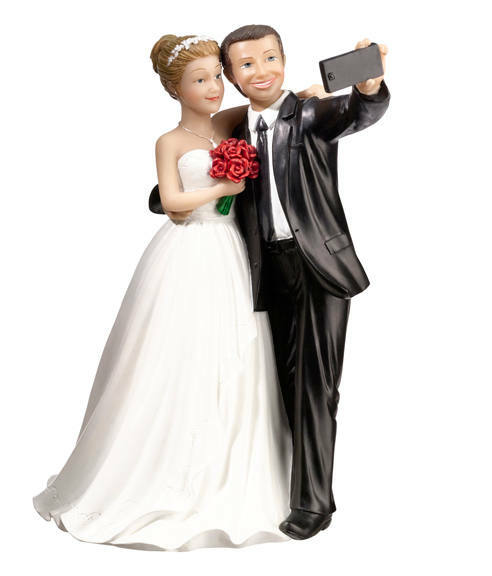 Wedding cake topper bride and groom cake top features couple taking a selfie. 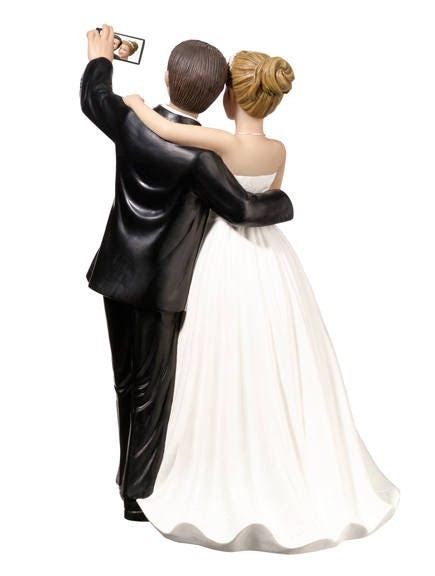 Made of painted resin, this wedding couple figurine measures 5" tall. The bride and groom taking a selfie is a fun way to top off the cake.